Transferring knowledge from one individual to the other forms the basis of all human cultures, whether we’re talking about learning how to chop wood, how the Earth actually revolves in a counter-intuitive manner around the sun and no the other way around, or how the Earth is a planet in the first place and everything it entails. Each human consciousness starts as a clean state and it’s up to our families, society and its legacy to guide us through and teach us. History, science, philosophy or even the study of religion (often overlooked for all the bad reasons in modern society) – where would we be without them? Well, for one a bit healthier if we’re to lean credence to a Harvard study which found a direct link between learning and an increased risk of contacting diseases. The whole idea is that learning from others brings us closer, literally. We need to be close to another person to learn from his behavior or listen to what he has to say, so there’s this sort of intuitive idea that learning drives socially transmitted diseases, like the flu. Likewise, learning through exploration exposes you to previously unknown pathogens and parasites from the environment. Of course, today in the age of the internet no one is bound by these rules. You could very well live in your basement all your life and study all the wealth of human knowledge without being at risk of contacting a disease from some other human. But that’s besides the point, so bear with me. Collin McCabe, a doctoral student in Harvard’s Department of Human Evolutionary Biology, and colleagues examined data on social learning and exploratory behavior across 127 primate species and compared these with the diversity of pathogens and parasites within the same species. “What we were trying to understand was what the causal relationship, if any, might be between how an animal learns and its disease burden,” McCabe said. “The question was whether animals that have more diseases are forced to come up with new solutions for coping with these infections. That idea, what we call the compensation hypothesis, takes the disease as a given and argues that behavior develops in response to diseases. The results speak for themselves: more social learning was associated with an increased risk of socially transmitted disease, and more exploratory learning was associated with an increased risk of environmentally transmitted disease, no other correlations were found. Of course, because human culture is so diverse and complex it’s nearly impossible to make an accurate judgement on how disease carrying was influenced by it. The researchers believe, however, that there’s no reason why the result shouldn’t also apply to humans. The paper was published in Proceedings of the Royal Society B. 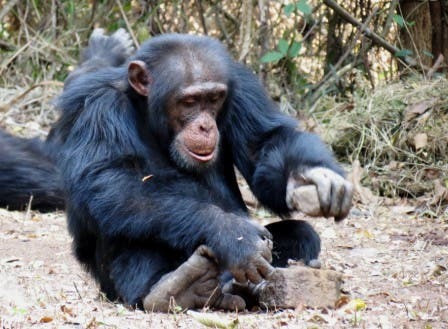 “The same processes — innovation and social learning — that lead to non-human primate cultural transmission are the very building blocks of human culture. “On one hand, I think this might be a good explanation for why we don’t see every animal inhabiting the same brainy niche that humans do,” McCabe said. “Because there are significant costs that go along with learning, and each species is equipped with varying behaviors and other coping mechanisms, it doesn’t really make sense for every animal to become a great learner. I found the findings really interesting for a number of different reasons. Humans are social creatures – keep a person alone for a year and you’ll turn him into a lunatic. Obviously, at some point there was a tradeoff: human ancestors, guided by an unseen mechanism, realized there’s a net benefit to sticking together and sharing knowledge, food or wealth, despite the risk of transmitting diseases. The opportunity of transmitting an idea, is well worth the risk. Then again, look at us now. If humans didn’t know to cooperate and form cultures, we’d never have a cure for the thousands variants of diseases that affect or used to affect people since the dawn of mankind. Somewhere, sometime a line was drawn and we all chanted in rapture: it was all worth it!